Honda’s CTX700 DCT doesn’t look like a traditional motorcycle, because it’s anything but old fashioned. We got where we are in the world by innovating, and the CTX700 is a perfect example of how innovative a motorcycle can be, while still embracing the best parts of the sport. Here’s a bike that combines light weight, low seat height, superior weather protection, and plenty of easy-to-use power. Best of all it comes with Honda’s exclusive automatic Dual-Clutch Transmission (DCT). What else does it offer? 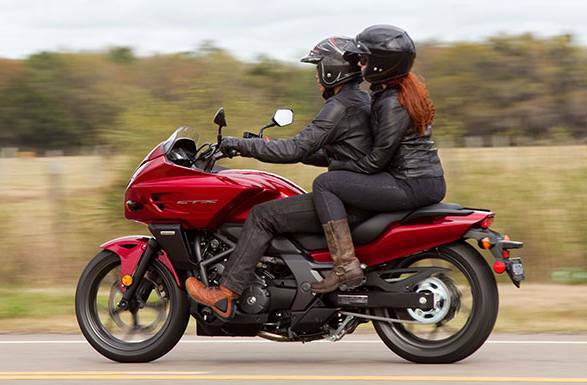 First, CTX700 has a full fairing for superior comfort and weather protection no matter the distance of your ride. 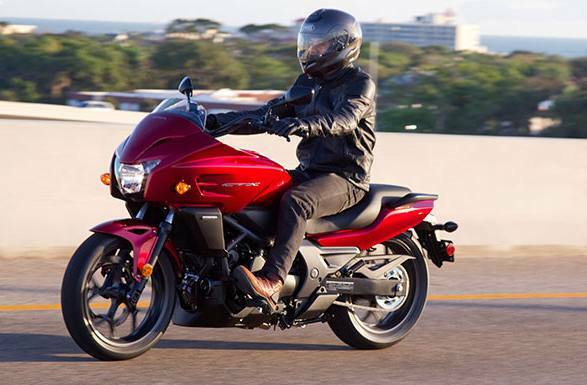 Plus, the laid-back riding position, including the forward-set hand controls and footpegs, are perfect for relaxed street rides. And while the CTX700 may be advanced, we’ve left plenty room for you to keep improving it. 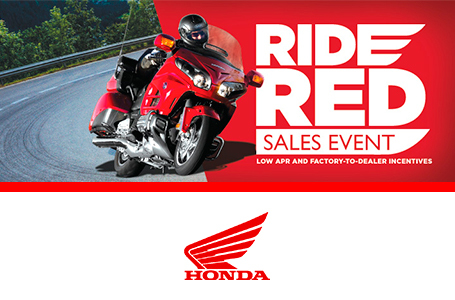 Our full range of Honda Accessories lets you set it up with saddlebags, backrests, and just about any other touring- or comfort-related feature you can imagine. Technology Comes Standard: The CTX700 DCT comes with an automatic transmission and Anti-Lock brakes. With the automatic DCT transmission, you can shift with the push of a handlebar-mounted button, or select the automatic mode and the bike will shift itself. Plus, ABS provides improved stopping in less than ideal conditions. 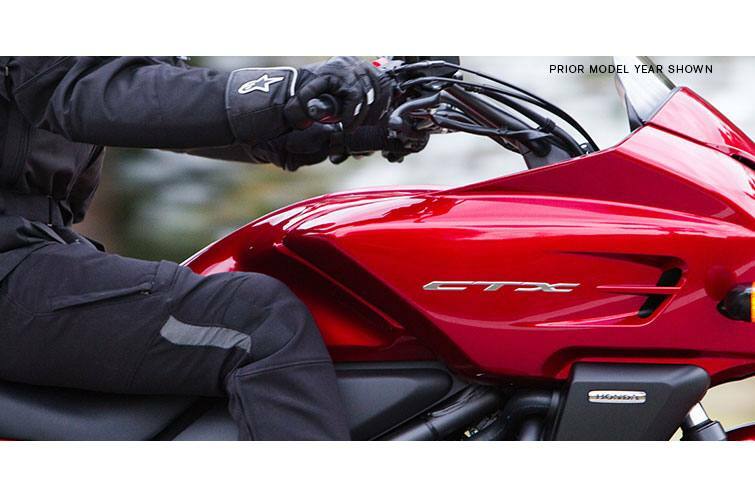 Comfort for the Long Haul: You’ll really appreciate the innovative design of the CTX700 DCT on long rides. 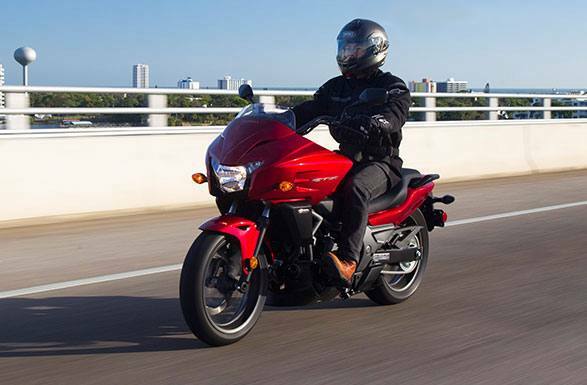 With its relaxed riding position, it allows you to really settle down into the bike and stretch out. The up-front pegs and low seat make it easy to put your feet down at stoplights, too. 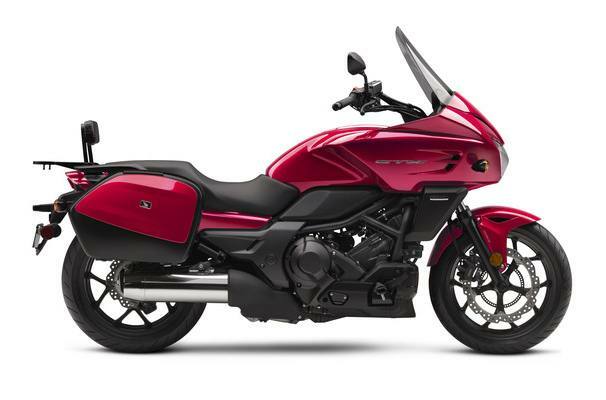 Power, and Then Some: The CTX700’s 670cc liquid-cooled parallel-twin engine produces tons of torque and enough power for easy two-up touring. 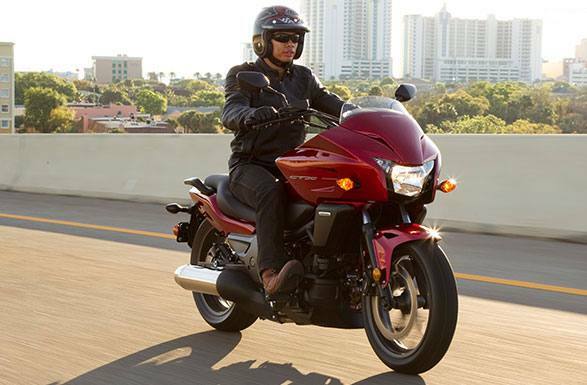 Honda twins are famous for their wide powerbands and fuel efficiency, and this engine is one of our best. Urban Escape Vehicle: We want the CTX700 to be a bike you’ll ride every day, not just on weekends. That’s why we went out of our way to design in user-friendly features like the integrated storage—perfect for items you need to access fast. 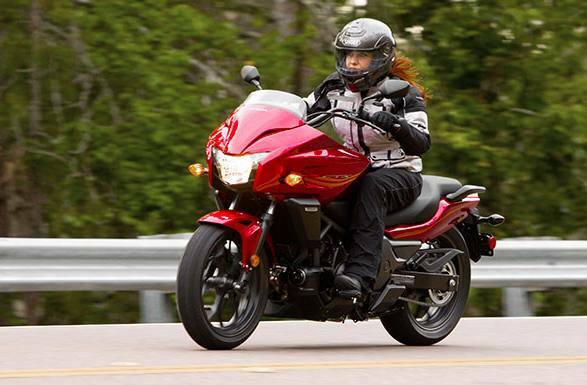 Designed for Comfort: With its full-coverage fairing and windscreen, the CTX700 lets you enjoy long trips in comfort. But that fairing is a great choice for commuters on chilly mornings too—this is a bike that can really do it all. Dial it in: A wide array of Honda accessories designed specifically for the CTX700 is available to help you get what you want out of your ride. Best of all, they feature the same quality and durability you’ve come to expect from Honda. 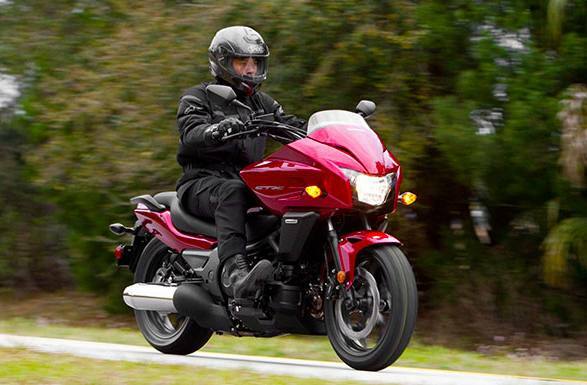 Front- and Rear-Disc Brakes with ABS: Single front- and rear-disc brakes give the CTX700 DCT great stopping power. You also get anti-lock brakes (ABS) for the best possible stopping power, especially under challenging conditions.